Product prices and availability are accurate as of 2019-04-14 18:26:24 EDT and are subject to change. Any price and availability information displayed on http://www.amazon.com/ at the time of purchase will apply to the purchase of this product. 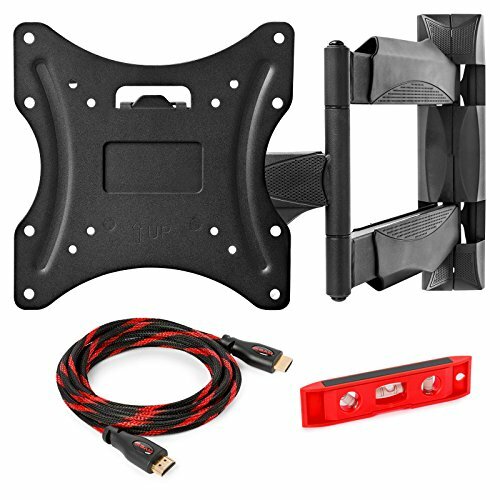 This universal articulating flat screen wall mount is easy to set up and easier to love and is one of our best tv wall mounts. 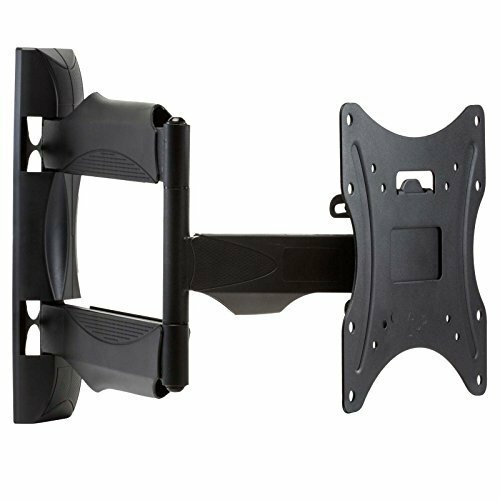 This versatile wall TV mount features 180 degrees of swivel left to right and tilts from -5 degrees (up/backward) to +8 degrees (down/forward) for maximum viewing flexibility and reduced glare. Low profile TV mount compresses to 2.2" from the wall and extends up to 19.25" from wall. 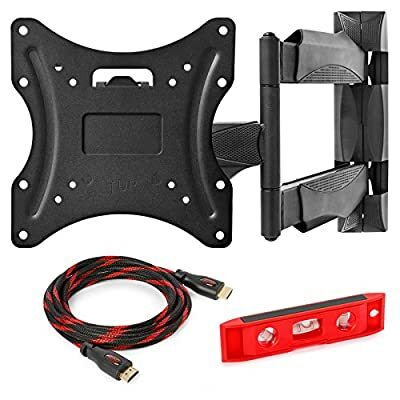 Flat screen TV mount is compatible with LED, LCD, Plasma and other flat panel displays measuring between 32"- 52" diagonally (Meets VESA wall mount standards of 100mm x 100mm, 100mm x 200mm, 200mm x 200mm, and 400mm x 400mm). 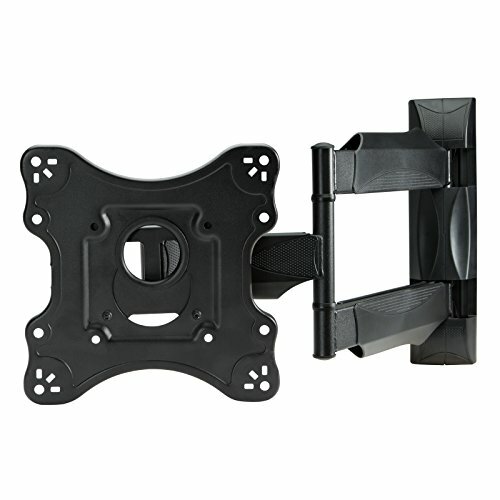 To ensure compatibility of a flat screen TV wall mount pattern determine the VESA mounting pattern for your TV either online or by measuring between the screw holes on the rear of the TV (100mm is about 4"). Mount is rated for up to 70 pound displays and is RoHS, CE, and ISO-9001 certified. 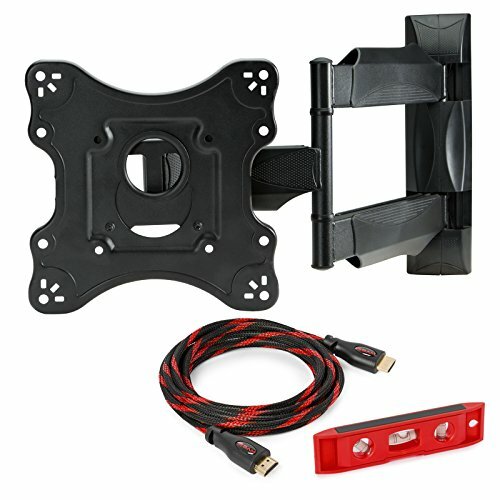 Complete mount package includes pre-assembled, 12-gauge powder-coated, heavy-duty steel mount, installation instructions, and full hardware package with installation wrench, stud wall screws, masonry anchors, mounting screws, washers, and spacers, a 6" magnetic bubble level and a FREE 10 ft gold plated, braided jacket HDMI cable capable of 3D 1080P and 4K 2160P Ultra HD signals.